Teachers — Embrace. Embody. Empower. Meet lead instructors Samy & Kady. Enjoy a complimentary 10am yoga class beforehand, if you sign up in-advanced! Please contact embraceembodyempoweryoga@gmail.com for information on how to sign-up! Kady Lafferty is at the forefront of the body positive yoga movement. A Denver-native, she is a devoted and passionate yoga practitioner and teacher. Kady puts a modern & light hearted twist on yogic philosophy to make it applicable and relatable to the modern day yogi. Her classes often have an upbeat flow with a hearty side of humor and self-love. She jokes and says she's breaking the yoga stereotype one chubby chatarunga at a time! Kady is affable, approachable, energetic and always the first one to lean into a hug. Samy is a people-lover, soul-stirrer, magic believer, smile setter, love spreading yoga teacher. She brings a fun-filled experience to the classroom, with high-vibin' music, playful movement and a sprinkle of yoga magic. Her dharma is to teach: yoga is available, accessible and inclusive to each body, every mind and all spirits. She aspires to create an ever-growing community of inclusion for both wellness and connection with oneself and also with each other. Be ready for an incredible lineup of guest instructors with specialities that range in a variety of yogic fields including anatomy, physiology, neurology; ancient yogic history (i.e. Yoga Sutras), pre/post natal yoga and beyond! Yoga Alliance is the endorser and overseer of legitimacy in yoga teacher training programs. YA creates specific criteria for structure, safety, professionalism and content. 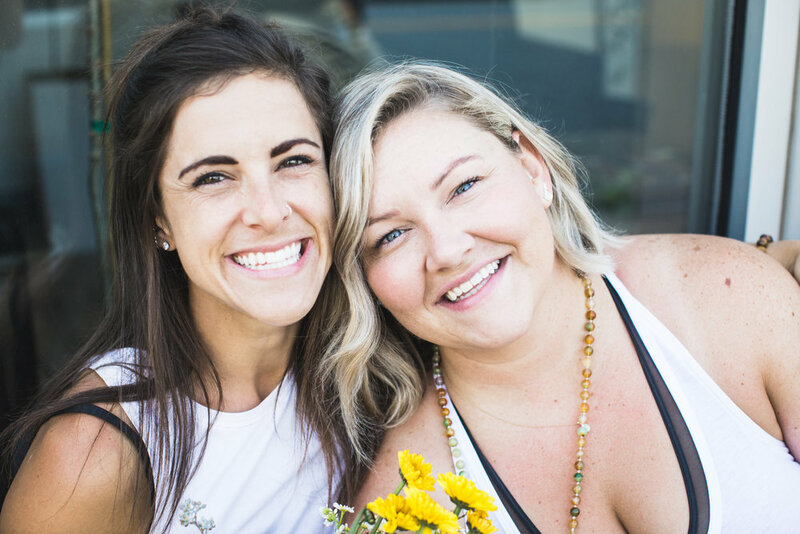 Our 200hr “Embrace, Embody, Empower” YTT was created by Kady (500hr RYT) & Samy (500hr E-RYT) and is UNDER REVIEW to be endorsed by Yoga Alliance’s standards and criteria. Our training is committed to meeting this criteria to deliver the best trainings possible, and procure the best teachers possible.